Photo recovery application for Mac OS X is friendly and welcoming for user to get back vanished images. Mac photo recovery program discovers formatted pictures and restores them at literal spot where user wishes to save as per future requirement. IcoFX is an award winning professional icon and cursor editor. It is an all-in-one solution for icon creation, extraction and editing. 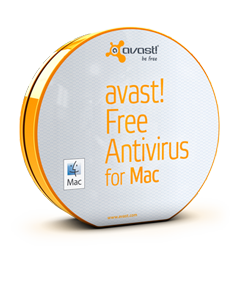 It is designed to work with Windows XP, Windows Vista, Windows 7 and Macintosh icons supporting transparency. Apple Mac based Send Online SMS software is expert to transmit multiple messages globally without connection of internet. Bulk message sending tool for Macintosh has best aspects to broadcast many SMS in practical manner within least mouse clicks. MacDraft is a 2D design, drafting and illustration tool. Designed for CAD users of all levels, MacDraft offers multiple layers, plenty of scales, and a full set of drawing tools and dimensioning capabilities in both feet/inches and metric. Mac data recovery software is a standalone tool for recover Mac files from HFS & HFS+. If Mac partitions has been formatted or deleted, try Macintosh data recovery software & recover all data. Restore Macintosh partition data even it has been erased. Mac disk recovery software 2011 gives advanced solutions for HFS+ file systems based Macintosh OS. Mac data recovery software can conveniently restore Mac data lost from Macintosh trash bin that has been lost permanently. Macintosh Universal Binary Front-end application to configure DOSBox settings for each DOS based game separately. Do you suspect your child, employee or anyone else is using your Mac inappropriately? Once installed you can watch the screen LIVE and view all activities. GlassWorks is a powerful install builder tool that provides a user friendly system for deploying applications on multiple platforms. Integration is supported on Windows, Macintosh OSX and Linux systems. Make your music shine with Turd Polisher Pro. Fast, functional design, works in real time, and simple to use - all of which gives you greater control. Blue Label is Mac OS application that allows you to run Windows, DOS and Linux programs on your Mac without buying new hardware. The application makes your Mac work as a Pentium PC. iPlanner is a powerful utility to bridge the gap between Apple's iCal software and popular paper based planning systems, like Franklin/Covey and Day-Timer.